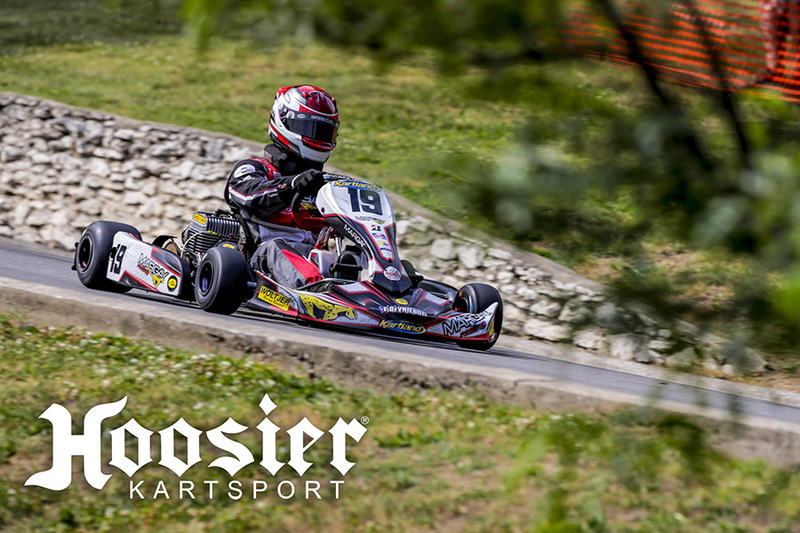 Margay Racing, the leading U.S. manufacturer of racing karts and accessories and exclusive North American distributor of Hoosier Racing Tires, announces the Quincy Grand Prix and TNT Kartways will be utilizing Hoosier as its spec tire for their 2019 events. From the lush landscapes and rolling hills of the Quincy South Park street circuit to the banked corners of TNT Kartways’ permanent facility, the Hoosier tire is up for the task. Starting in June, TNT Kartways will spec the R60B compound for all classes excluding Ignite Senior which will run the R80 spec. Also in 2019, Quincy Grand Prix will spec the R60B compound for all Briggs and Yamaha classes while the 125cc Shifter class will run the R55 compound. As always, the Ignite classes will run the Hoosier R80. “We’re excited to keep building on our success by announcing Hoosier Kartsport as a spec tire and partner moving into 2019 and beyond”, stated Terry Traeder, owner of TNT Kartways and president of the Quincy Grand Prix. “It was an obvious choice to partner with the American-made Hoosier brand, providing an excellent product and support base for grassroots karting”. “Quincy had been the center of karting for many years, it has been great to see the resurgence of the sport at both TNT Kartways and the Quincy Grand Prix over the past year”, said Keith Freber, president of Margay Racing. “We’re excited to pair both of these organizations with a one-make tire spec to help simplify the rules structure to newer and experienced drivers alike”. TNT Golf Car and Motorsports in downtown Quincy, IL will be a servicing dealer for the complete range of Hoosier kart tires. For TNT Kartways racers who would like more information about their race programs, please contact Jeff Miles, track manager, at (217) 440-6768. Racers, track owners and club members looking for more information about making Hoosier the tire of choice at your facility or series, please contact Margay Racing at 800-562-7429. Based in Saint Louis, MO, Margay Racing is the most successful sprint kart manufacturer in the United States, supporting drivers in all divisions of karting and producing winning karts for countless local, regional, and national champions. Now in its 54th year, Margay is owned by third-generation family member, Keith Freber. More information on Margay can be found at www.margay.com. Quincy has always been known as the karting capital of the US and while historic TNT Kartways in West Quincy, Missouri has crowned many national champions it is South Park that that separates the wheat from the chaff. Formula 1 has Eau Rouge at Spa, IndyCar has turn one at the Indianapolis Motor Speedway and NASCAR has the last lap at Talladega. Karting? Karting has turn one at South Park. As challenging as it is unforgiving, turn one at ‘The Park’ separates the greats from the merely good. Those that have won the prestigious Grand Prix of Kartingrepresent some of the greatest drivers in the sport of karting over the last 40 years. Achieve legendary status. Accept the challenge, enjoy the thrill and conquer The Park…be there on June 8th & 19th, 2019. Hoosier Racing Tire is headquartered in Indiana and owned by Continental Tire. Hoosier is the largest race tire manufacturer in the world, and commonly termed as the ‘tires designed for champions.’ Hoosier has grown to produce over 1,000 different types of race tires. The company has its own 300-mph test wheel; a technology center; and state-of-the-art, fully-integrated production facilities. The company recently added a high-tech mixing plant, with enough capacity to produce not only for Hoosier Racing Tires, but to have the ability to produce rubber for additional entities as well as a model sales and distribution network. More information on Hoosier Racing Tires can be found at www.hoosiertire.com.